Are you tired of seeing the same wall color of your bathroom daily? Looking some paint ideas? So you are at the right place. Painting the wall is just an ordinary task, but the selection of the color is quite a daunting one. The Same monotonous color scheme looks quite dull and boring especially in the case of bathroom design . In that case, you need to give some splash of bold colors to have a lively feel. Bold colors in a small space can be seen bit risky, but not this time. 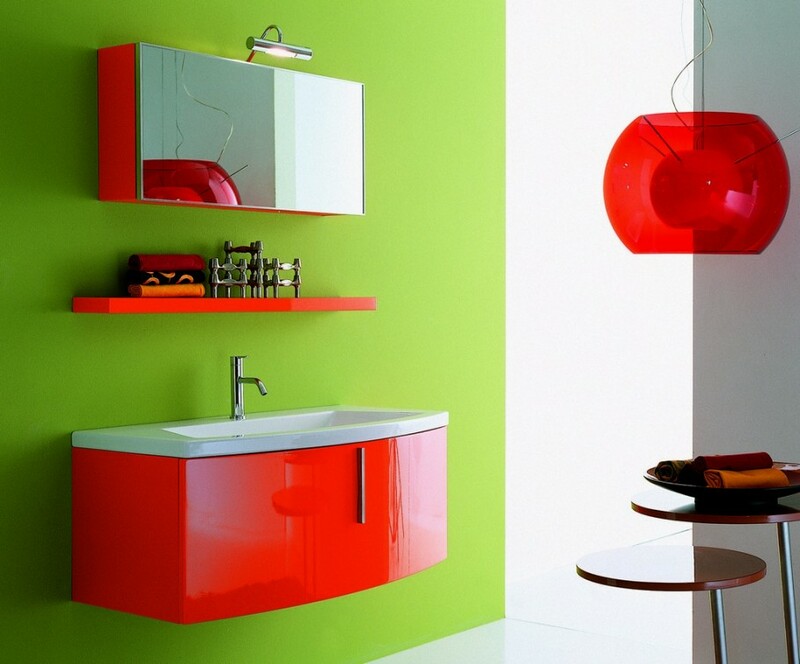 Even you can spruce up your small bathroom with some pop effects of bold color in your bathroom. 1. Paint – Paint is one of the simplest and cost effective ways to add a large amount of splash of colors in your space. It is advisable that first pick that one bold color you want and then paint the remaining parts by paint on walls according to the color scheme. 2. Single accent wall – Opting for the bold shade on the entire room can look too awkward. The plan is that, pick a single wall to make it as a focal point of the room. That wall should be like the showpiece and you can add accent to the wall by painting with a bold color or with some pattern or texture. Try to use this directly across the door for more impact. 3. 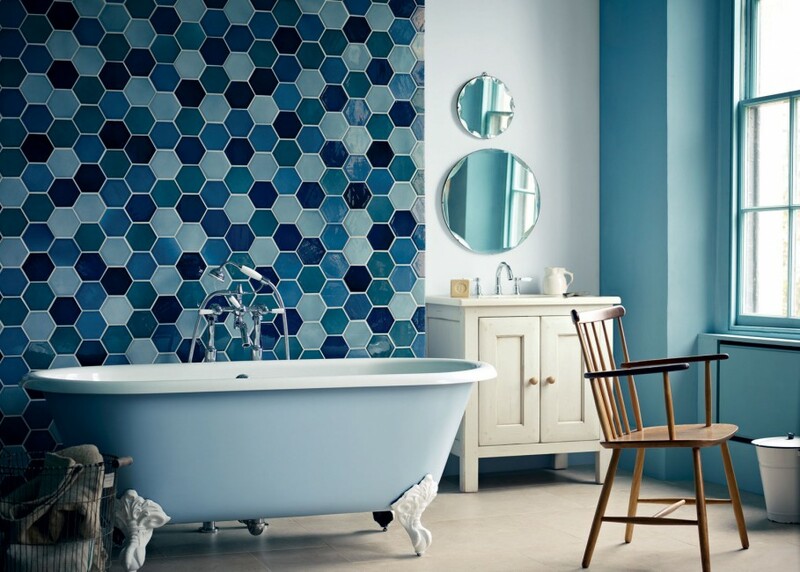 Tile experiment – Covering the entire bathroom with tiles is quite common and old school style. You can give accent to the wall by covering just a single area with the punch of saturated tiles. It can be a focal point and grab the attention easily. You can try cool blue hues like aqua or sea green etc. to have a cool and soothing ambiance. It provides great impact when it used as a backsplash above the basin and behind the vanity. 4. Colorful accessories – Why to go always with the decent things when you can spice it up your space with many colorful bathroom articles. You can add some vibrant towels instead of the boring and simple white or light shades, colorful soap dish, a vibrant frame of your vanity mirror, anti-slip bathroom rug of an attractive color and much more such type of items you can try. This is the super easy and affordable way to have a perky look and feel in your space. 5. Bathroom decor – Most of the people forget about the home decor items when it comes to the bathroom, especially in the case of the small bathroom which is totally wrong. A rightly placed few pieces of decor items work wonders to glamorize the space instantly. You can opt for some candles, vases, basket, trays or other small decorative items. One of the best bathroom design ideas is to opt for a stunning and vibrant piece of wall painting. The size, design, and color of the artwork should easily blend with the interiors of the room and should not clash with any other item. 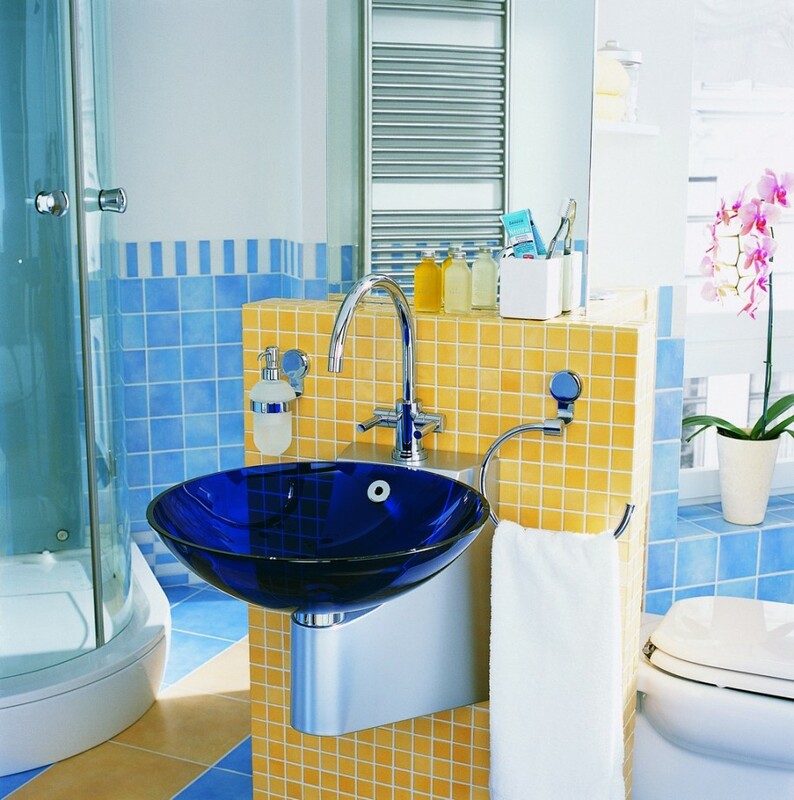 These types of colorful ideas can be tried easily to prettify your bathroom space. These ideas are easy and the best thing is affordable.